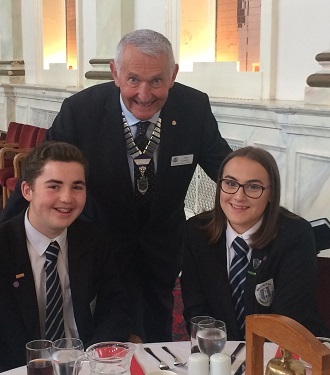 Two students from Branston Academy completed the Rotary Young Leadership Award course in Derbyshire in the wintry weather a few months ago. Nils and Amber gave a talk at the Club recently about their outstanding achievement. President John with Nils and Amber.